Vitex helps to balance hormones and minimize symptoms associated with hormone imbalances in women from premenstrual through menopausal ages. 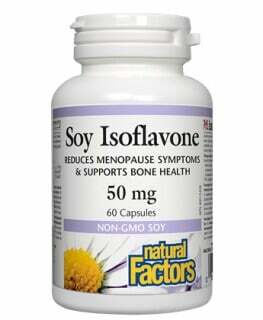 If there was a gentle and safe herbal extract that had 2,500 years of use, and could help many menstrual abnormalities– from premenstrual syndrome to the symptoms of menopause – most women would likely keep some on hand all the time. Vitex agnus-castus, also called chasteberry, is one of the most popular botanicals in Europe for treating menstrual disorders and has been recognized as gentle and effective since the time of Dioscorides. What are the Key Health Benefits of Vitrex Chasteberry Extract? In Europe, Vitex agnus-castus is one of the most popular botanicals for treating all kinds of menstrual disorders. Numerous clinical studies document its benefit. The combination of actions produced by vitex seems to restore the estrogen/progesterone balance. Clinical studies using vitex show a reduction in headaches, breast tenderness, bloating, fatigue, cravings for sweets and also feelings of anxiety, irritability, depression and mood swings, often after only one month. Physicians in Europe commonly recommend vitex for the treatment of hot flashes. Safety of vitex is exceptional. In one study, vitex was given up to 9 years in some cases, with very few side effects. Herbalists have used vitex with much success in treating teenage acne. How Does Vitex Chasteberry Extract Help? First of all, what does vitex not do? 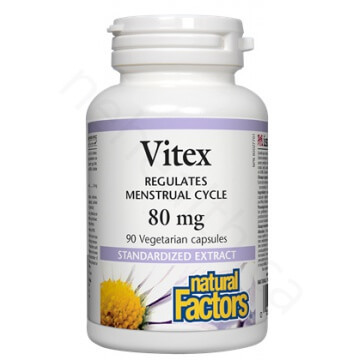 Vitex does not act as a phytoestrogen (plant estrogen), a term commonly associated with balancing the female reproductive system. Vitex Works through another important chemical pathway, the hypothalamus-pituitary axis, to balance female hormones.Vitex increases luteinizing hormone production while inhibiting the release of follicle stimulating hormone,leading to an indirect increase in progesterone and normalization of prolactin levels. The combination of actions produced by vitex seems to restore the estrogen/progesterone balance. 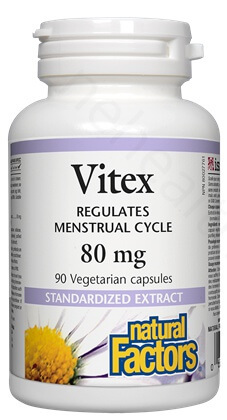 How Does Vitex Chasteberry Extract Support PMS? Vitex extract has been used in Germany since the 1950’s,and numerous studies document its benefit (an extract by Madaus AG called Agnolyt, was used in the clinical studies). Clinical studies using vitex extract show a reduction in headaches, breast tenderness, bloating, fatigue, cravings for sweets and also feelings of anxiety, irritability,depression and mood swings, after only one month. In another uncontrolled observational study 1,542 women were given 42 drops of vitex tincture (Agnolyt) each day.Among the patients, 33% had complete relief of symptoms while 57% reported improvement. Again, their doctors rated vitex tincture as very good, good, or satisfactory in 93% of the cases (Dittmar, et al). 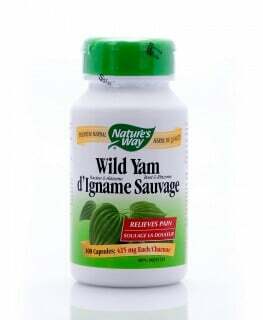 1 capsule per day preferably before breakfast or as directed by a health professional. Up to 3 capsules can be taken daily.